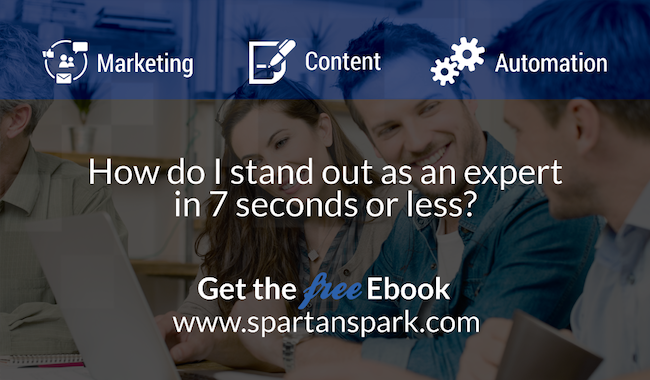 The reason you want to stand out as an expert in 7 seconds or less is because statistics show that you only have 7 seconds to impress the person who is visiting your website, before they click away. Below are 7 quick tips to get you started on your path to gaining your visitor's trust. 1. Start with the left top corner of the page. Have a professionally designed logo that reflects your brand. If you had your logo done in the 90's or the early 2000's, you might want to revisit it to get a more updated look. The same goes for the graphics on your page, have your website graphics professionally done up to showcase what you do. Your website graphics should be in alignment with your brand, and look good with your logo. To the right of your navigation, your phone number should be prominently displayed. If we're thinking in terms of the "trust factor", your phone number shows you're a reputable company. That your customer can call you at any time if they have a question or concern. Have a testimonial on the right column on the right hand side of the page. You can add to this credibility by having the associations you belong to, or the newspapers you've been featured in, somewhere at the bottom of the page. Have some kind of a valuable document, checklist or incentive that your visitors can immediately download. If you're looking to establish trust, then this document or checklist should showoff your expertise by teaching them something valuable. This is also a great way to build your email database, so make sure, when you're thinking about what to give away, that when someone downloads it, it gives you an indication that they're a potential lead. For example, here at Spartan Spark we target medium-sized businesses who don't have the time or knowledge to figure out how to get better search engine optimization, or a better social media presence or get their website to bring them leads. So we offer a document that teaches management, at a high level, the key things they need to know to get started. Showcase your information, not anybody else's information - if you're trying to establish credibility, don't allow guest posts on your website, do the leg work to make sure your visitors can see that these are your thoughts and ideas. Blogs show what makes you the expert in your industry. Having all that on one page will help you gain trust in 7 seconds or less, and keep your visitor on your page, and browsing for more information.